A factional group of the Social Democratic Party (SDP) has suspended Professor Tunde Adeniran, the acting National Chairman. The group also adopted Atiku Abubakar of the Peoples Democratic Party (PDP) as its presidential candidate. The announcement comes five days after the party adopted President Muhammadu Buhari as its presidential candidate for the 2019 general election. Tuesday's development was contained in a communiqué signed by Supo Shonibare, National Chairman and Adakole Ijigi, National Secretary, at the end of a stakeholders' meeting of the party on Tuesday, held at Merit House in Abuja. The group, led by Shonibare, said the appointment and announcement of Adeniran as the acting Chairman of the party is unconstitutional, adding that his suspension was as a result of his gross misconduct, anti-party activities, and acts prejudicial to the fortunes of the party, “which have gravely brought the party to great disrepute”. Shonibare, formerly the party’s National Vice Chairman, South West, was nominated, adopted and ratified as the new National Chairman of the party. The group also suspended the National Secretary of the party, Alhaji Shehu Gabam. The communiqué read: "The NEC considered all the options available to the party and observed the impasse occasioned by the lingering court claims of our presidential candidates which prevented any nationwide presidential campaign. 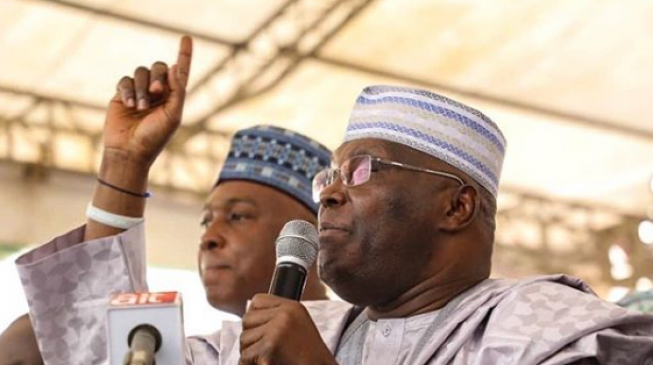 "In view of these challenges, the NEC deliberated exhaustively and unanimously resolved to direct the Social Democratic Party supporters nationwide to mobilize our members and members of the public to support the candidature of the Alhaji Atiku Abubakar.